The parents of a child named Endrew F argued that their son with a disability deserved more from his public school. 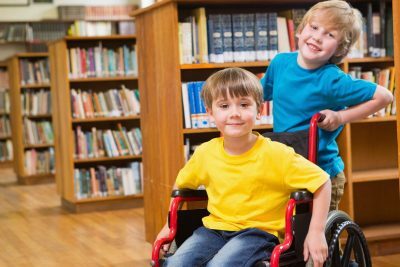 They appealed their case all the way to the Supreme Court, and the ruling in their favor could mean more robust rights for all children with Individualized Education Programs (IEPs). The implications of this unanimous decision are reverberating through schools and agencies that oversee special education. Read on to learn how you can participate in important conversations about these uplifted standards. 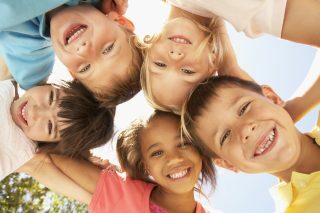 This article and the included resource links can help you understand the Endrew F ruling and how you might use this information in advocating for your child’s rights. The IEP did not address Drew’s escalating behavior problems. Drew had more success at the private school, and his parents filed a Due Process complaint with the Colorado Department of Education in 2012. They requested reimbursement for the private school tuition on the basis that the public school had failed to provide access to a Free Appropriate Public Education (FAPE), which is a cornerstone of the Individuals with Disabilities Education Act (IDEA), the federal law that governs special education. The parents argued, and lost, at the state, district and circuit court levels. 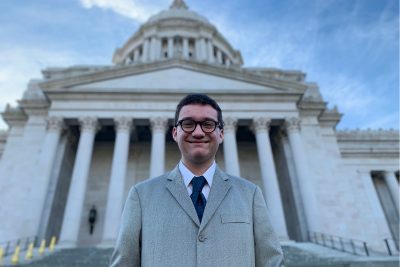 These lower courts ruled that because Drew had made at least some progress toward his IEP goals, then the school had met its obligation to provide FAPE. Wrightslaw is one source for more detail about the case and its history. Since then, a variety of agencies have been analyzing the court’s unanimous ruling and creating guidance documents to help schools and families understand the implications of this case. On April 9, 2018, The Office of Special Education Programs (OSEP) provided a two-hour webinar with speakers from various education fields to discuss the ruling and its broad-sweeping impact on schools and families. Parents need to understand this case, the experts agree, because family voices are critical to raising the level of expectation. Parents/guardians are the first and most important lifelong teachers of their children. They, therefore, need to be fully welcomed and heard as key collaborators in the process. IEP teams need to assure relevance when writing appropriately ambitious IEP goals for lifelong learning and success in varied environments. Goals toward narrowly defined academic “mastery” often miss this opportunity to create flexible learners. State academic standards should be noted at the IEP table, but challenging objectives are to be individualized, not “one size fits all” or based in goals generated by computer data programs. Educational benefit is determined on an individual basis, and standards for measurement must be varied and rigorous to ensure meaningful progress. An IEP with the same goals year-after-year does not meet the standard of FAPE. The Statewide Parent Advocacy Network (SPAN) issued a summary of the Endrew F ruling that includes a list of “Roles and Responsibilities” for professionals and families. “This new standard will require a prospective judgment by school officials that will be informed not only by the expertise of school officials, but also by the input of the child’s parents and guardians,” SPAN stated in this overview document. Has the team carefully considered my child’s potential for growth? Have we considered whether my child is on track to achieve or exceed grade-level proficiency? Are the goals appropriately ambitious, with sufficiently challenging objectives? How is the IEP reasonably calculated to enable my child to make progress appropriate in light of his circumstances? PLACE emphasizes that parents should not accept an IEP with the same goals and objectives from year to year, indicators that a child has failed to make meaningful progress. And, using language directly from the SCOTUS ruling, PLACE encourages parents to hold schools accountable for a child’s progress by requesting a “cogent and responsive explanation” for decisions about goals and progress measurements. Diana Autin, an attorney and executive director of National PLACE, uses the webinar platform to review foundational principles of the IDEA, re-authorized by Congress in 2004, to set a stage for understanding new guidelines related to the SCOTUS ruling. “It’s important to note that Endrew F can’t be understood or defined or used without it being within the context of the IEP requirements of IDEA,” she says. The child at the heart of this landmark case, Drew, struggled with phobias and had behaviors that included screaming, climbing over furniture and occasionally running from school. 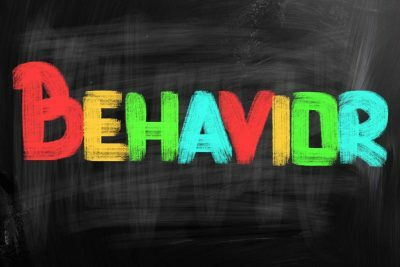 According to the PLACE webinar: “His parents believed that his progress had stalled and that the strategies used to address his behaviors were insufficient to allow him to learn.” Behavior interventions at the private school chosen by Drew’s parents helped, and his access to learning improved. 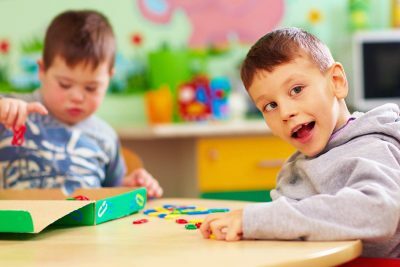 In considering all aspects of the case, including a lack of suitable behavior interventions, the Supreme Court ruled that the public school had denied Drew access to FAPE.